[NEW GADGET] With such extensive coverage from Engadget live blog to CNA on the telly, do you even need to read somemore facts/opinions/analysis? Well, yes you do. No, I am kidding. Feel free not to read this. Oops. You just did. Regardless of the situation, I just say this to satisfy my ego as a blogger. 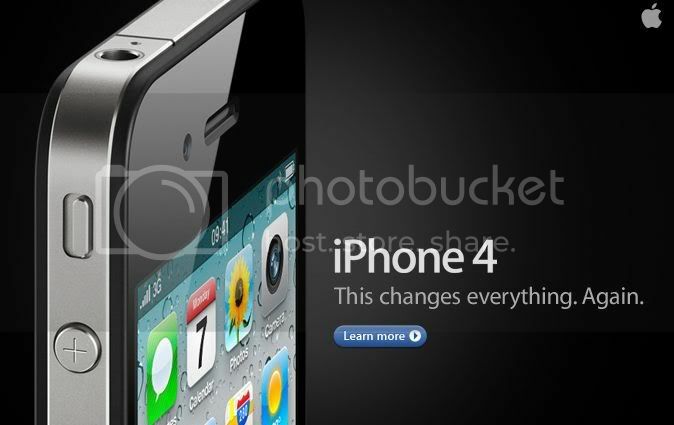 iPhone 4 is out! July looks like the month where iPhone 4 will flood the streets according to the national papers. From a personal point of view, I think the battery life is going to be a big difference aside from all the features and hardware improvement. An improvement of with seven hours of 3G talk and 10 hours of WiFi data, vs. five hours of talk and nine hours of WiFi data on the 3GS. That could mean that iPhone 4 could last more than 1 day with regular usage. Meaning a couple of hours of surfing and smses. More significantly, the 3GS is probably on par with high end Android phones in terms of battery life. But now iPhone 4 has raised the bar. Sony e-book Reader by-pass Singapore again? PC SHOW 2010: What to buy?